When we talk about electric vehicles, we usually talk about cars. The fully-electric car market started out as something that was marketed towards the eco-conscious city dweller, but with cars like the Porsche Taycan and the Audi R8 E-tron the market is already trying to grab the attention of petrol-heads. Now, the same thing is happening with motorcycles. 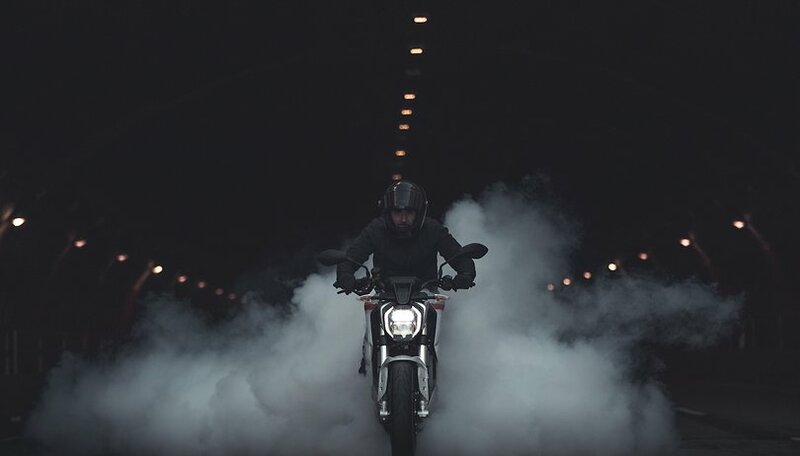 I’ve noticed a growing trend for fully electric motorcycles over the last couple of months that are clearly trying to capture that biker spirit that is so closely married to the internal combustion engine. Can manufacturers really get biker excited for batteries? Just this week, it was reported that legendary British motorcycle manufacturer, Triumph, ridden by everyone from James Dean to David Beckham, is planning on bringing back the Trident. The original was the company’s first superbike and will return to become another first - Triumph’s first electric motorcycle. Triumph has been testing the water on a fully-electric motorcycle for a while now. A couple of months ago, the company sent a survey to ask customers how they felt about electric bikes. Questions included: What might prevent them from buying an electric motorcycle? I for one would welcome a Triumph electric. Triumph is not the only petrol biker brand that is getting into electric either. Sharp-eyed readers will perhaps have already seen teasers for Harley-Davidson’s LiveWire electric motorcycle. The legendary American manufacturers, and probably the most iconic motorcycle brand of all time, is urging fans to ‘get ready for a lineup of electric two-wheelers that will inspire new ways to ride’. Its LiveWire model looks every inch the part. Muscular and powerful, cool and confident. Performance is there too, with acceleration that takes you from 0 to 60 in just three seconds. There’s no clutch and no gears, something that could deter riding purists, but the twist and go approach is bound to appeal to a younger generation of wannabe bikers. Several startups are also joining the old guard in the race for battery-powered bikers riding off into the sunset. The most impressive of which, at least from a purely aesthetical point of view, is the Fly Free Smart. The guys from Long Beach, California, are working on five models ranging from classic 50s style bikes to a desert model more suited to off-road riding. Then there’s Zero, another Californian manufacturer that came out of Santa Cruz. Zero is furthest along the road to electric motorcycle success than anyone. It produced its first prototype in 2006 and has been selling its range of electric motorcycles for a few years now. I would burn cities to the ground for a Fly Free Smart Classic. Ask any motorcycle fan what they love about riding and they will talk about the sense of freedom hitting the open road on two wheels gives you. The problem for electric motorcycles is that limited range dos equate to freedom. In fact, with charging infrastructure in its current state, using electric motorcycles and freedom in the same sentence is almost oxymoronic, and the issue of range remains the single biggest hurdle for manufacturers to overcome to convert traditional bikers to go electric. The Harley-Davidson LiveWire features a ‘high-voltage rechargeable energy source system’ (or battery, to you and me) that promises up to 140 miles (225 km) or range. That’s not bad, but it’s hardly going to get you across state. Charging is done via either a Level 1 charger, which you connect to a household outlet and takes all night for a full charge, or a Level 3 DC Fast Charge station for 80% charge in 40 minutes of 100% charge in an hour. It’s a similar story over at Zero. Range differs hugely depending on how and where you drive, but if you are in the city you can expect to get around 223 miles out of your Zero electric motorcycle before you have to recharge it. Hit the highway, however, and that figure drops to 112 miles. Despite the issues with range and recharging, which we are already familiar with in the electric car world, I am excited about the future of fully-electric motorcycles. The early models we are seeing coming to market are hitting so many of the right notes - look again at that Fly Free Smart and tell me it's not cool - and for such an early stage of mainstream adoption, things look good. Will the next generation of biker be powered by batteries? I think so.